It’s time once again for the weekly round-up of my favorite pop culture atrocities, misfires and entertaining trainwrecks. 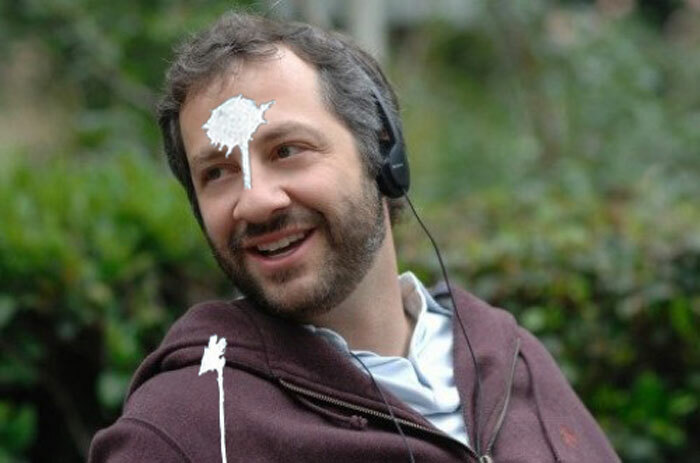 This week’s theme: Judd Apatow. Starting out as a stand-up comic before writing for early 90s TV series such as The Ben Stiller Show and The Larry Sanders Show, Apatow’s success in Hollywood wasn’t exactly overnight. 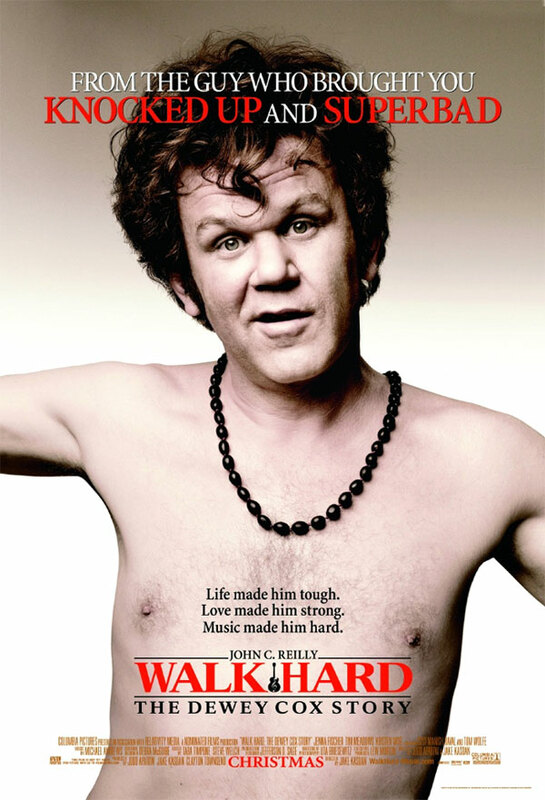 By the early 2000’s he’d exhausted himself creating critically acclaimed television shows like Freaks the Greeks and Undeclared, both of which were quickly canceled. Then he hit cinematic pay dirt with The 40 Year-Old-Virgin and he’s been on a roll ever since. Before you can say Apatow-fatigue syndrome, the list of successes that he’s been involved with in the last two years alone includes Knocked Up, Superbad, Forgetting Sarah Marshall, Step Brothers and Pineapple Express. I have not been trying to ramp up this many projects. It’s a horrible miscalculation. But I can’t say, ‘Let’s not do it because I’m busy right now.’ It’s a dream come true. And while the jury’s out on whether his latest cinematic effort Funny People will be a hit, let’s take a look back at some of Apatow’s not-so-funny career missteps. After all, the first screenplay of his that was produced was the long forgotten Heavyweights. Celtic Pride was Apatow’s second produced screenplay (after Heavyweights) and it’s arguable which one is better than the other. 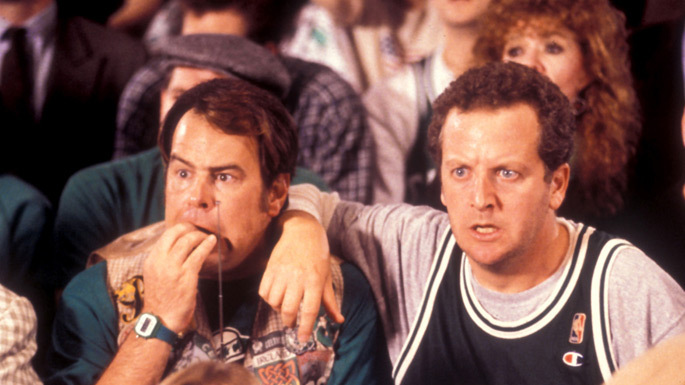 It stars Daniel Stern (who was quite a hot commodity in the early-to-mid 90s) and Dan Aykroyd as the biggest Boston Celtics fans ever. In fact, they’re so loyal to the team that they decide to kidnap the opponents star player, played by Damon Wayans. Just as their beloved Celtics are about to wrap up a dismal season, with nearly 50 losses and no berth in the playoffs, Hollywood comes out with a comedy about the Celtics that’s even worse than the team. And not half as funny. 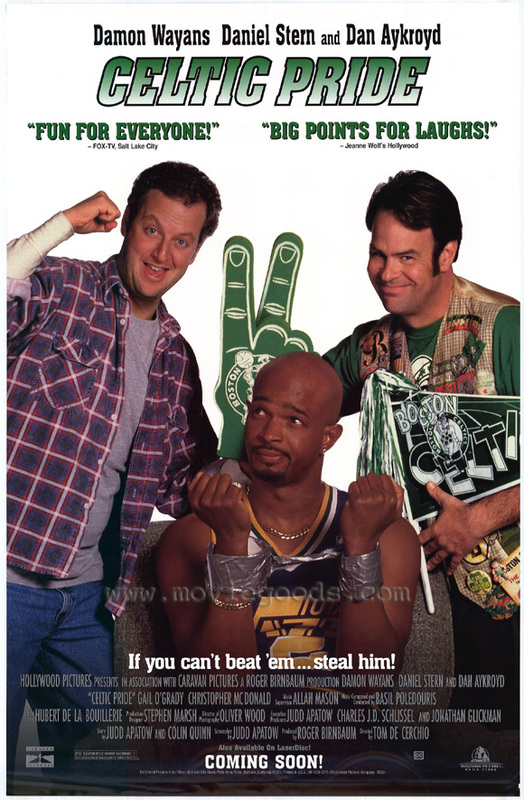 If anything, Heavyweights and Celtic Pride prepared Apatow for the even worse media hit that he and everybody else involved with the poorly received Jim Carrey vehicle The Cable Guy would have to endure later that year. This shows Judd Apatow is not god. Sometimes you can be too clever for your own good. instead of sending everything over the top at high energy, like Top Secret or Airplane, they allow Reilly to more or less actually play the character, so that, against all expectations, some scenes actually approach real sentiment. Reilly is required to walk a tightrope; is he suffering or kidding suffering, or kidding suffering about suffering? Apparently audiences weren’t interested in trying to figure out the mystery. It’s a lot to ask of people to have them determine the genre of a movie after they’ve just shelled out 10 bucks. 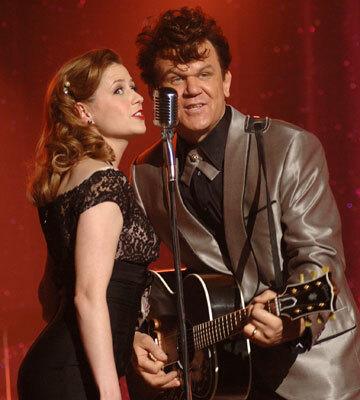 Posted below is the trailer, as well as a musical number where Jena Fischer (The Office) duets with Reilly on “Let’s Duet”. The subtle double entendres and romantic lyrics are never quite funny or sweet. It’s a good representation of the movie itself. Apatow’s current influence on American comedies has been compared to John Hughes, who dominated the 80s with movies like The Breakfast Club. So maybe it wasn’ t a coincidence then that the Apatow-produced Drillbit Taylor was based on a treatment Hughes wrote for Paramount in the 1980s that was never filmed. The screenplay, credited to Seth Rogen, follows the tried-and-true formula of previous successes like Knocked Up and Superbad. It is about three nerdy high school freshman who hire a bodyguard (the once-funny and now-tired Owen Wilson) to protect them from campus bullies. Ho ho. It’s actually kind of disturbing to see the tubby Jonah Hill re-imagined as a young grade schooler. It goes without saying that the reviews weren’t kind. It’s hardly worth going on at much length about the movie, a disordered, dispirited shuffling of flailing-to-be-funny and trying-to-be-empathetic scenes. Audiences agreed. 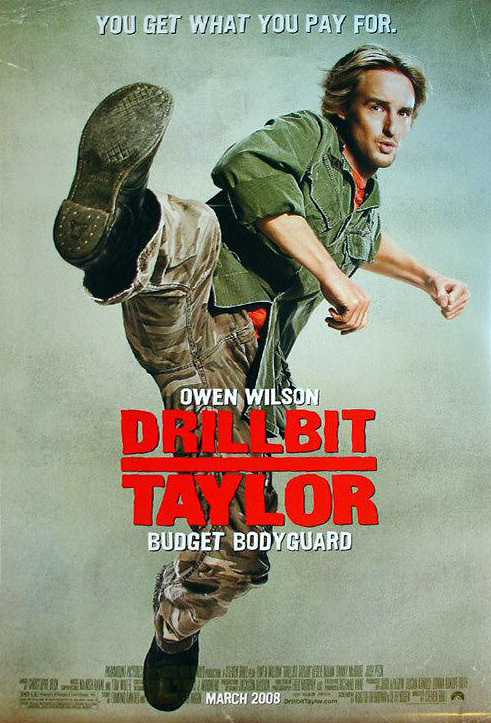 Drillbit Taylor only grossed $32 million ($8 million less than its initial budget).